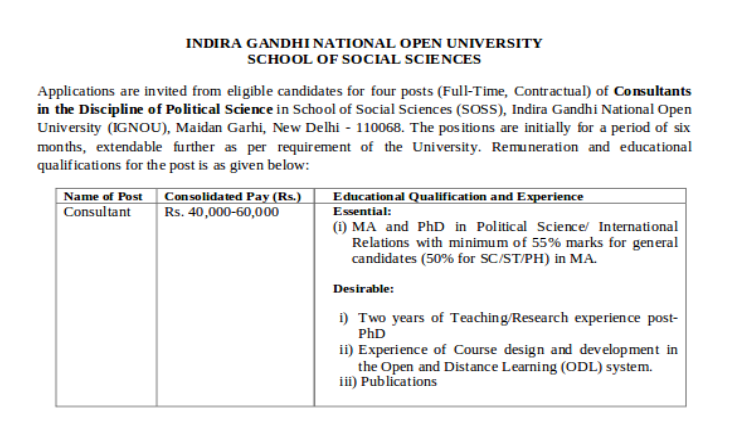 Indira Gandhi National Open University (IGNOU) has released a job notification for a Consultant post. So, interested and eligible candidates can submit their application form through a prescribed format given on the official website. The last date to submit the application form is 8th April 2019. There is a total of 4 posts released for a Consultant position. Applicants should have a degree of MA and PhD in Political Science or International Relations from a recognized University. 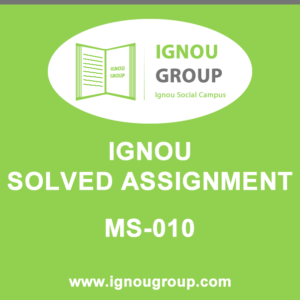 All the interested candidates will have to send their application form along with the documents to Prof. Anurag Joshi, Faculty of Political Science, School of Social Sciences (SOSS), Indira Gandhi National Open University (IGNOU), Maidan Garhi, New Delhi – 110068 latest by 8 April 2019. Also, send the soft copy of Curriculum Vitae (CV) via e-mail- directorsoss@ignou.ac.in with cc to anuragjoshi@ignou.ac.in.